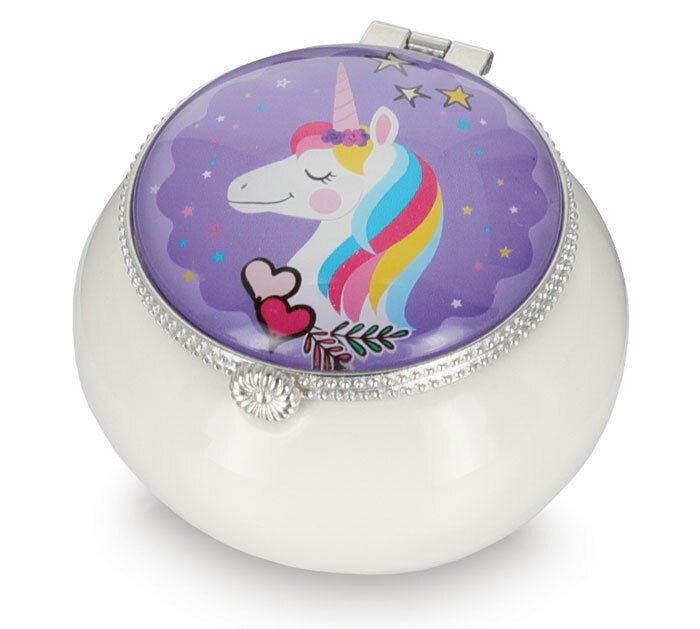 Decor Unicorn jewelry box. Round, white porcelain jewelry box with silver zinc alloy hinge and closure. Encased in plastic is a white unicorn with pink horn and rainbow mane. Hearts, dots, stars on lavender/purple background. Made of porcelain, metal, and plastic. 2" H x 2 3/4" W x 2 3/4" D.
Great for Valentine's or any day of the year!